 The goal of this training is to provide culturally and linguistically appropriate services to limited English proficient communities and to people with disabilities of the State of Oregon during times of emergency and crisis response. We are looking for ten volunteers to take this course and provide feedback about the quality and feasibility of this training, and to make recommendations. If you are interested in participating in this pilot training, please reply to this email confirming your participation and follow the instructions listed below. The target audience for this training is personnel who works directly with people with LEP and disabilities, staff who works in emergency management settings, diversity, equity and inclusion, and for policy and decision makers. Take the online training. We recommend taking two modules per week. We’d like you to begin the training no later than Monday, March 7th, and to complete it by Friday, March 21st at 5 PM. Notify Dr. David Cardona, Language Access Services Coordinator that you have completed your training. He can be reached at: cardona@state.or.us or by phone at 971-673-1286. Cardona will send you a survey to gain your input on Monday, March 28th. Survey is due by close of business of Monday, April 11. This survey will be anonymous. Finally, we will prepare a report of the findings. Note: This training is approved to receive nine hours of continuing medical education by Ciné-Med.